Hardy Fox, un ex dei Residents, lascia con un canto d'amore, forse il suo ultimo: Rilla Contemplates Love. Hardy Fox used to be composer for The Residents. He left the group when he didn't feel fit enough for touring. Since then, he has released many albums under the name Charles Bobuck, switching to his real name Hardy Fox when his albums became more personal. The first, self-titled and also known under the name Heart, is a study of the young Hardy Fox, an album about Love. The second, Nachtzug is about his last days touring with The Residents. 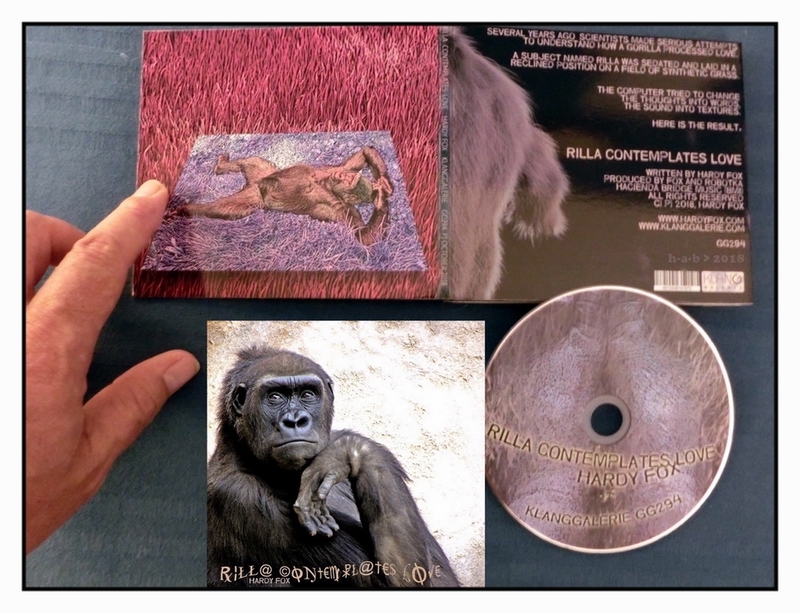 After a break from recording, Hardy Fox is now back with a concept album about a gorilla: "A few years ago a study was done by scientists who were really interested by the idea of how gorillas think. Work was being encouraged by the success of sign language with a gorilla named Koko, who unfortunately recently died. The new research was investigating if they could get information by working with computers directly taking information from the mind of a friendly gorilla. Rilla. Hardy Fox did not get the actual results, but did get inspired by his own mind as it was sent into the imagination of what a gorilla might think. ".